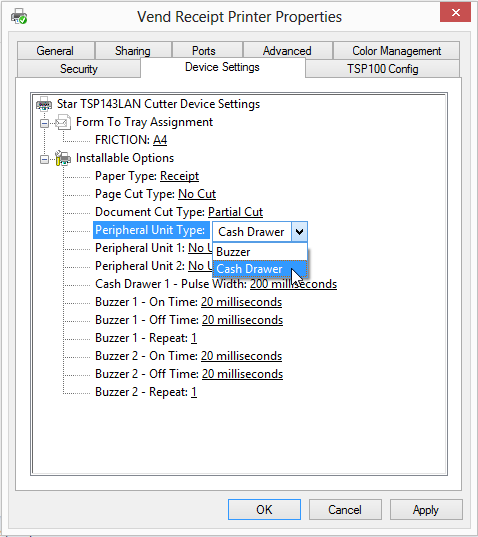 Setting up your Star TSP100 LAN for Mac, PC or iPad – How can we help? This guide provides step-by-step instructions on how to install a Star TSP 100/143LAN for Mac, PC or iPad. Select the device you use below and follow the instructions. In order to set up your receipt printer with your Mac you'll first need to make sure you have all the peripherals needed. You will need a power cable for the printer and an ethernet cable to plug the printer in to your internet router. If you don't already have an ethernet cable ask your printer supplier to include one when you buy the printer or pick one up from your local electronics store. Next select Drivers and pick the driver listed under Recommended to download. Now that this is complete you'll need to install the printer on your Mac. 1. 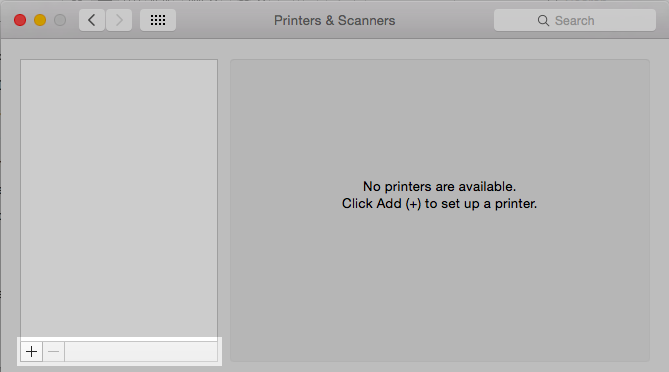 Navigate to System Preferences and open Printers and Scanners. 2. Here, click the plus button in the left corner and click Add printer or scanner. 6. Use: Click on Select Software... from the drop-down. This will open up a new window. Search for Star in the top right, locate 'Star TSP100 Cutter' and click OK.
Once you've put in all this information click Add. Your printer should now be set up and ready to go! 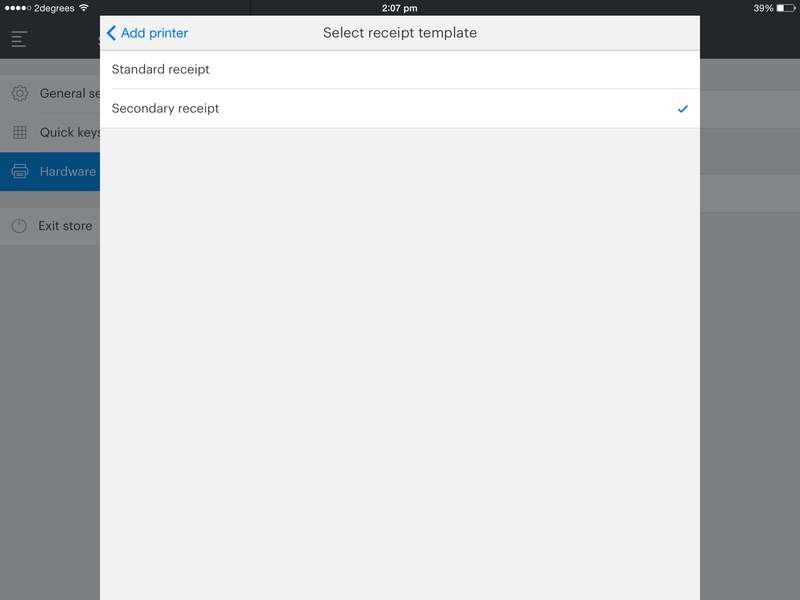 Pick the receipt template you’d like to use and click Print. This will take you to the print preview screen. If the Star is not your default printer, click Change and select the printer from the list. 5. From here, select Cash Drawer Control, choose Open Drawer 1 and 2 under Cash Drawer and click the Set Default Options button below. In order to set up your receipt printer with your iPad you'll first need to make sure you have all the peripherals needed. 1. Plug in the ethernet cable to your router and connect the other end to the printer. The Ethernet port is the port located on the back left-hand side of the printer. 2. Next, plug the power cord into the power connector on the printer and into your main (AC) power supply. Checkpoint 1: At this stage your printer should be connected to your network. Hold down the 'feed' button and turn the printer on. This will print two slips. The second slip should have the printer's IP address if successfully connected. 3. On your iPad, connect to the WiFi connection in your store. 4. 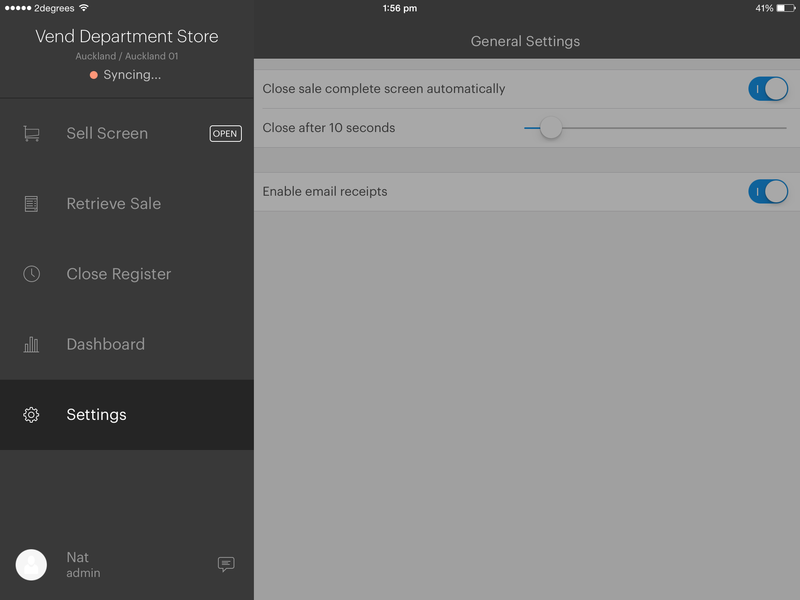 Open the Vend iPad app and Tap the menu icon. The sidebar will open. 6. Tap the blue Find button. 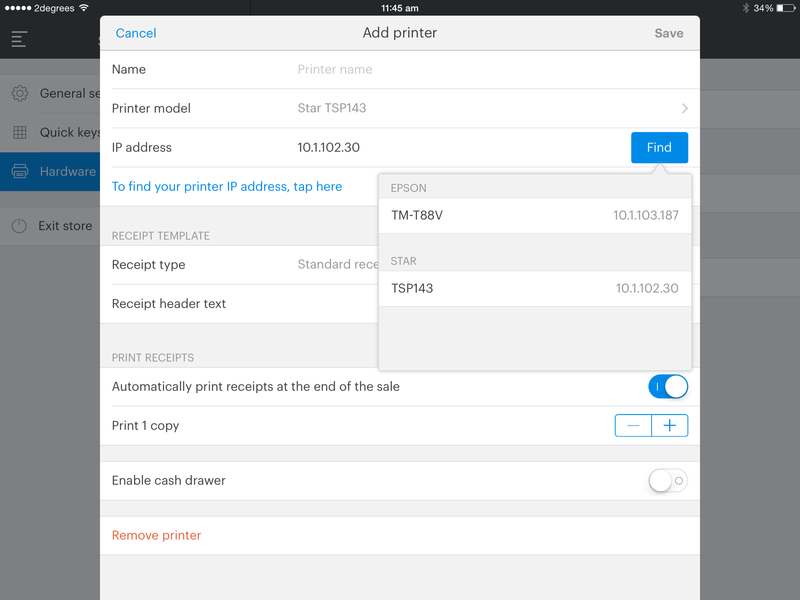 To auto-add your printer select TSP 143, if available. 7. 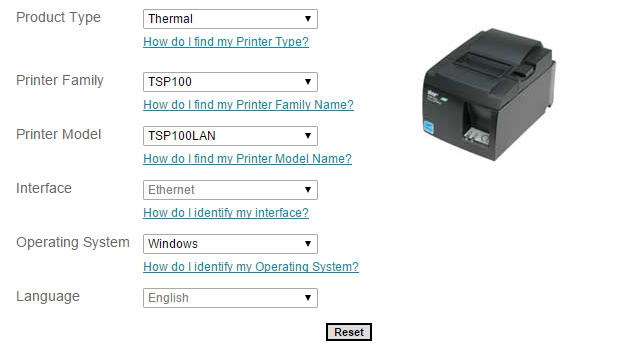 Select a name for your printer. This can be anything you choose such as “Cashier 1” or “Receipt Printer”. Include your selection in the “name” field. a standard receipt - this is a typical end-of-sale receipt. a secondary receipt - this is a receipt that only prints certain items. 9. Choose whether you'd like your receipts to be printed automatically. If you don't automatically print a receipt, you won't be able to manually print one during the sale. 11. Click Save to add your printer. Checkpoint 3: Run a test sale to ensure your setup is successful. If your receipt fails to print, go back to checkpoints 1&2. Remember to void the test sale after your receipt is printed! 1. Tap the menu button to open the sidebar menu. 2. 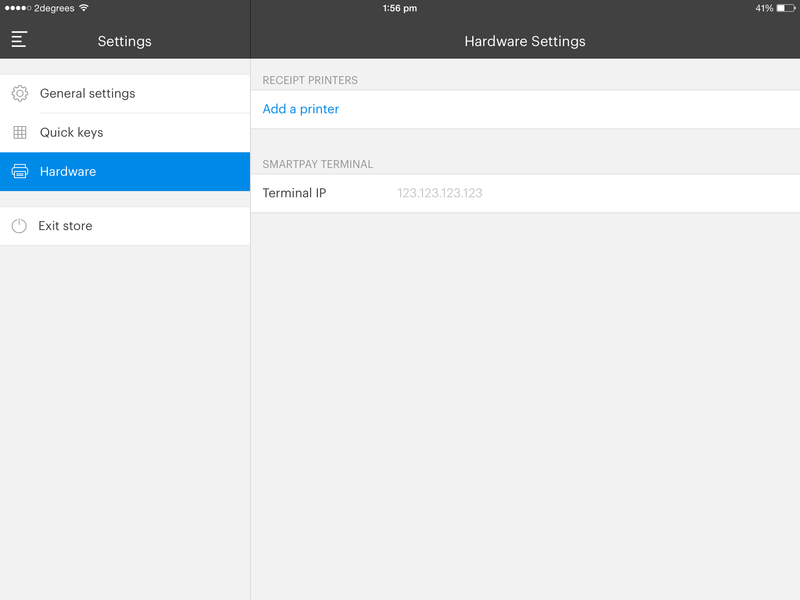 Tap Settings and choose Hardware. 6. Toggle the Open cash on sale setting to On. 2. 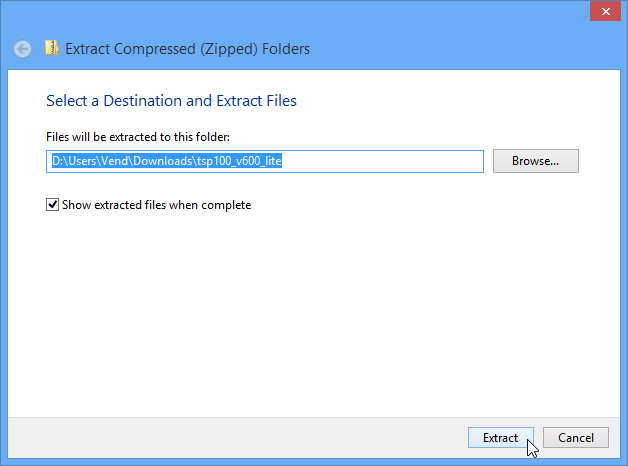 When this download is completed, head to your downloads folder, right click on the file and select extract all. Checkpoint: Not sure where to find the download? Go to explorer and select 'Downloads' from he left hand list. The download will also appear at the bottom of Google Chrome, click the arrow here and select show in folder. 3. After extracting the file, a folder will open. 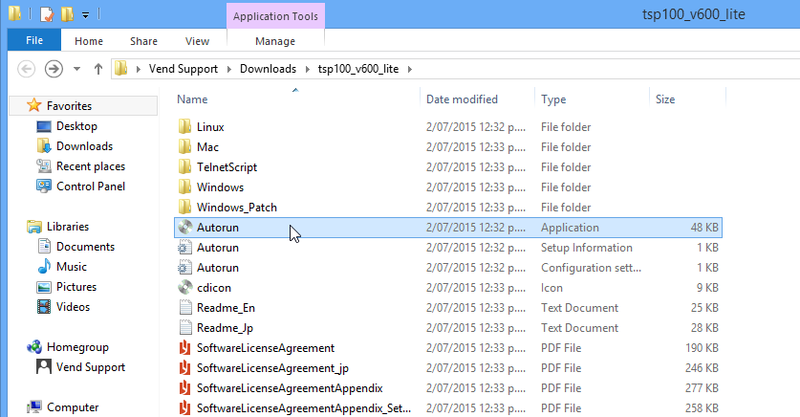 Double click on Autorun and follow the installation guide instructions. Navigate to Program Files (x86) > Starmicronics > Star TSP100 - dated folder (e.g 20150320) and select EthernetSetting. This is buried quite far down so you may want to search for this instead. To search in Windows 8 hover your mouse over the top right hand corner of the screen until the magnifying glass appears in the sidebar. Clicking this will take you through to a search window where you can type 'EthernetSetting'. Using Windows 7? To search in Windows 7, navigate to the bottom left corner of the screen and click on the 'Windows start' icon. A menu will appear and you should see the search bar at the bottom. You should see this icon appear. 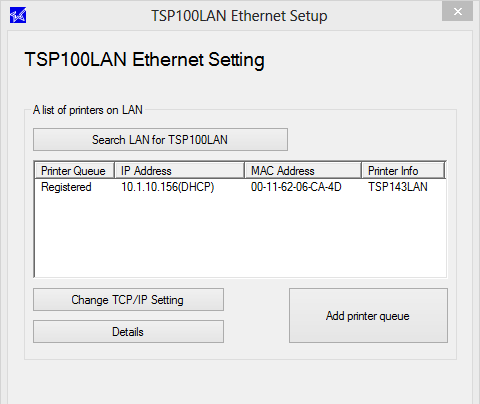 Clicking this will open up the Ethernet Setup page, where you can install the printer. 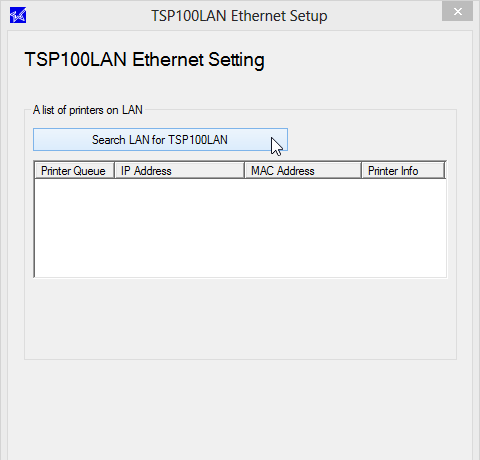 First select Search LAN for TSP100LAN. 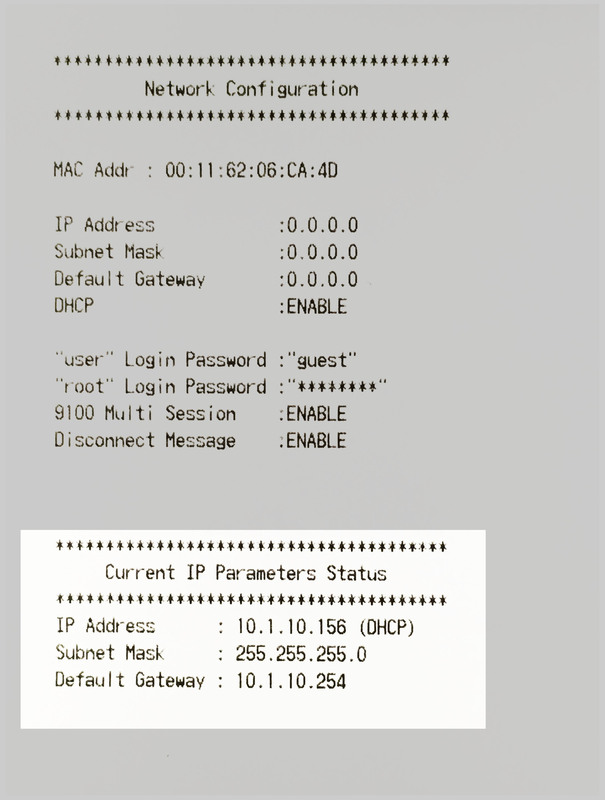 Once your printer appears in the list below, confirm that the IP Address matches the IP Address on the printer config page you printed earlier. If you receive this message it means your IP address is not fixed and may change in the future. This could cause your printer to disconnect so we recommend you contact your local IT specialist to get a Static IP setup. 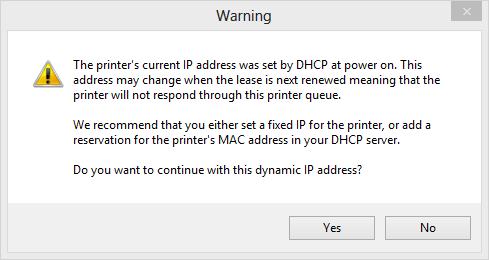 In the meantime, go ahead click 'Yes' so you can start using your printer right away. 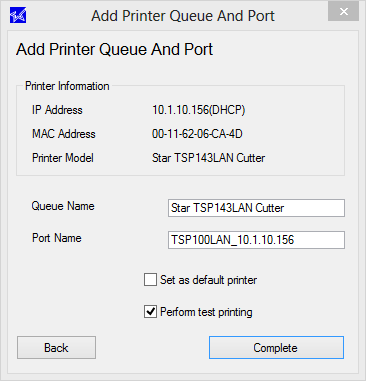 Next you will see a new box where you can specify the queue and port names of your printer. 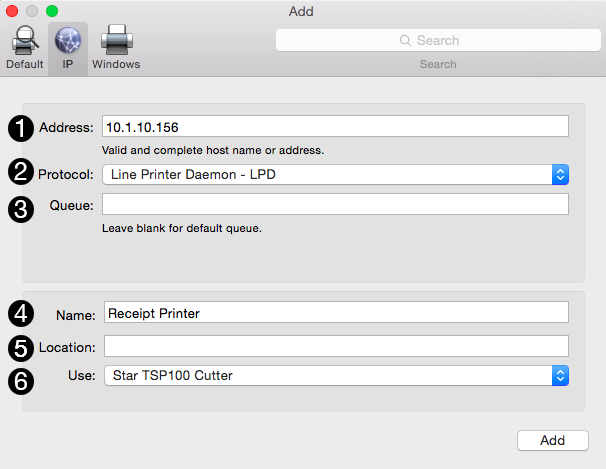 Leave the port name unchanged and add a new queue name if you'd like your printer to be called something else. Once you're happy with these settings, tick perform test printing and click Complete. 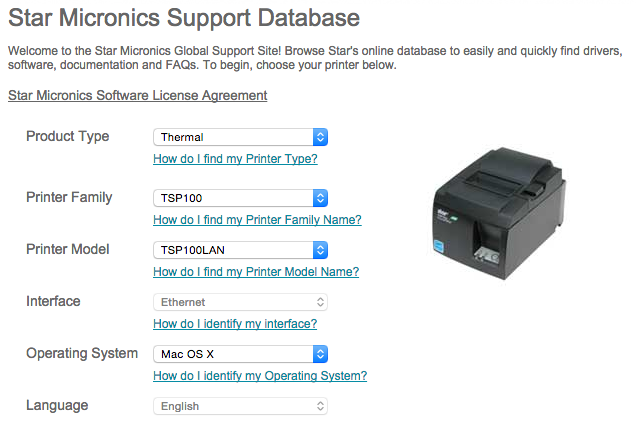 Your printer should now be all set up and ready to go! You will also want to untick headers and footers and set the paper size to 72mm - 2000mm or 72mm - receipt. 4. Once in here change the Peripheral Unit Type to Cash Drawer and set the Unit 1 and 2 options to Document Bottom. 5. Save these settings and test it out by clicking CTRL + E on your keyboard when in the old Vend Sell Screen or by performing a test sale if you are using Register for PC.